At Oakfields you’ll find properties and packages priced to suit and with complete flexibility. Our friendly, expert team are here to help and will make building your new home a hassle-free experience. 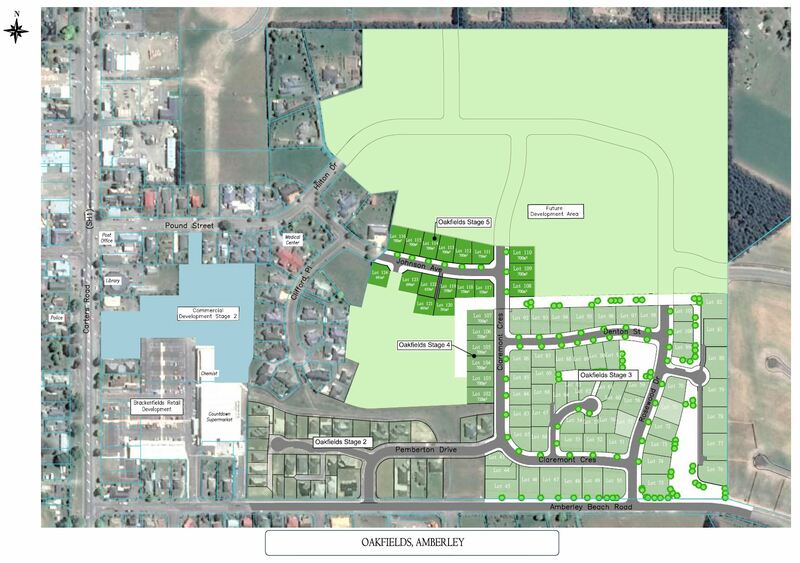 17 new sections in stage 5 are now released in the extremely popular Oakfield’s subdivision. There are delightful sunny sections to choose from ranging in size from 400 square metres to 1100 (quarter acre) and priced from $140,000. There are quarter acre sections available from $164,000. Sections are designed for sun, outlook and views. You will find stage 3 information here. Titles available from March 2018. These are delightful sunny sections that face west with beautiful views of Mt Grey. Only 6 premium sections have been released ranging in size from 700 to 728 square metres and priced from $153,000. STAGE 5 JUST RELEASED – TITLES AVAILABLE IN OCTOBER 2018 – 17 new sections in stage 5 are now released in the extremely popular Oakfield’s subdivision.